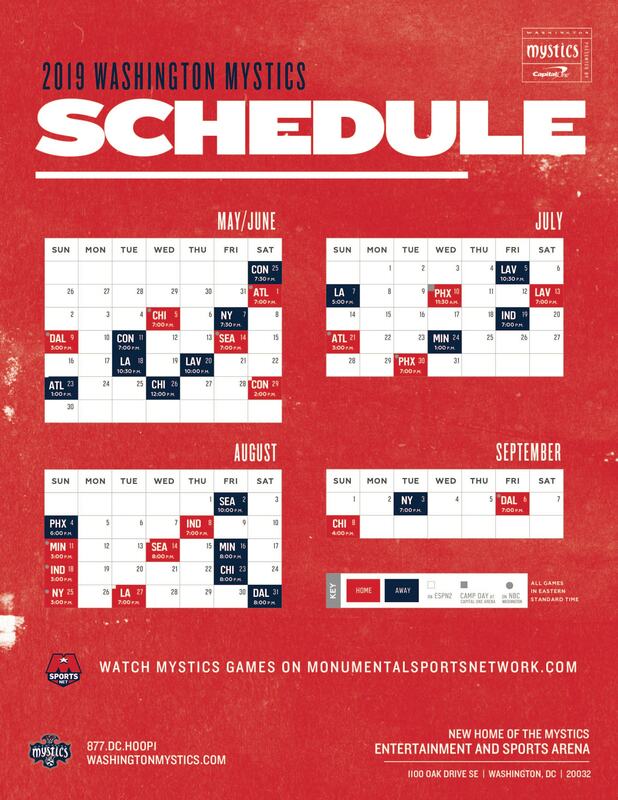 Looking for the perfect gift for any Mystics fan? A personalized halftime message that will be shown on the jumbotron! Cost: $25 with all proceeds going to Monumental Sports and Entertainment Charities. CLICK HERE to submit your message. *Orders must be submitted by 12 p.m. the day prior to the date of the game. For weekend and Monday games, orders must be received the Friday before the game by 12 p.m. Payment must be received at the time of request and the charge will appear as “MSE Foundation.” Game day tickets are not included. Please note that the Washington Mystics reserve the right to accept or deny any announcement dependent on its content.